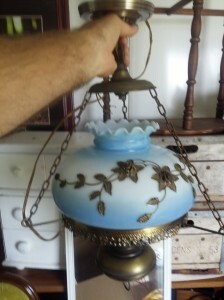 An inexpensive way to change a room is to have new light fixtures installed. Though lights are not necessarily the main attraction of a room; an outdated light fixture can actually take away from the look or mood that you are trying to create. 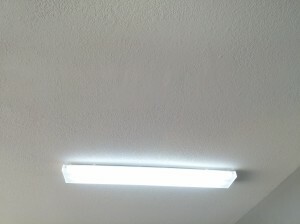 In one afternoon your room could be transformed by changing out mismatched and dated fixtures. There are nice looking options available at the box stores that are priced fairly that won’t break the bank or you can spend some serious money purchasing named brands, actual crystal chandeliers or timeless antique light fixtures depending on your style of house and decorating likes. Your current light fixture might be fine but the lack of illumines that it puts out in the room can make it feel gloomy and in some areas like a bathroom can make it dangerous. Take a look at your lighting in each room to see if there are shadows, hot spots or dark spots in the room. Does your chandelier shine upwards when it would be better suited to shine downward over a table? 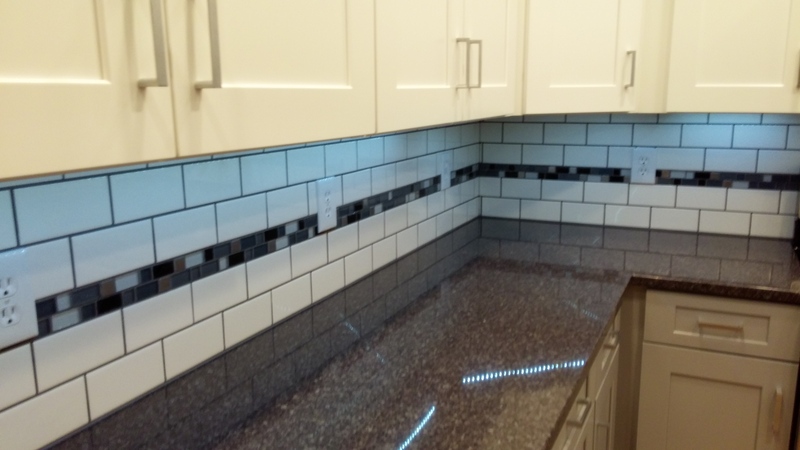 Is your current lighting on your backside when facing a kitchen counter or entering a shower? Is the room at times to bright? Accessing your current lighting will help you in purchasing new light fixtures. You’ve now found the perfect light fixture now what? It’s now time to decide what type of bulbs. Compact fluorescent bulbs have been a nice advantage to especially older homes because higher wattage bulbs can be used to brighten the room without the concern of overloading the old wiring. An average 60-watt bulb only takes 13 watts to run. Fluorescent bulbs consume less energy than the old incandescent bulbs and even last 8-10 times longer which is an advantage to those inconvenient placed light fixtures in the tall Family Room. 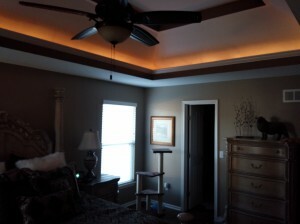 Many homeowners are opting for new LED (light-emitting diode) lights though they are usually more expensive. LED lights consume less energy, last longer than fluorescent (10-13 times longer), and burn much cooler than incandescent bulbs which is especially helpful in enclosed light fixtures and in tiny rooms. Most LED lights are dimmable with great color quality and light output. 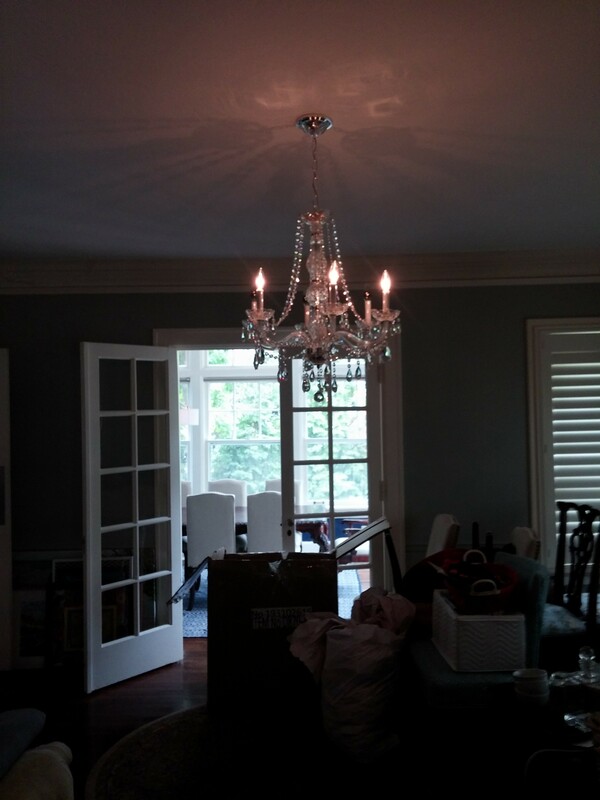 Something else to consider when changing light fixtures; don’t forget about dimmer switches. They are a nice addition to a room if you are wanting to create different moods such as in the dining room. Most of the time you might want bright lights in there, but on occasion it would be nice to be able to dim them down to create a nice intimate dining experience. Dimmer switches give you this option. 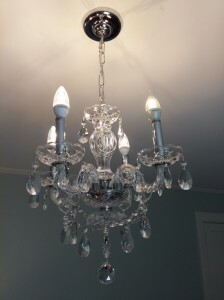 These tips are for the typical simple light fixture. 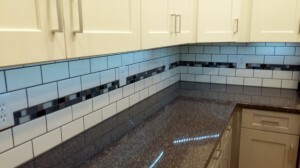 Many are not simple so if you don’t like surprises or feel that this is beyond your comfort zone; give us a call and we will take care of it for you.